Allied's forklift part division has a trained staff of 4 Toyota and SMH certified forklift parts technicians with over 75 years experience in obtaining parts for a wide range of equipment types. Quick deliveries, a choice in pricing and warranty, and just plain good advice are what make Allied Toyota Lift’s parts departments highly valued by our customers. 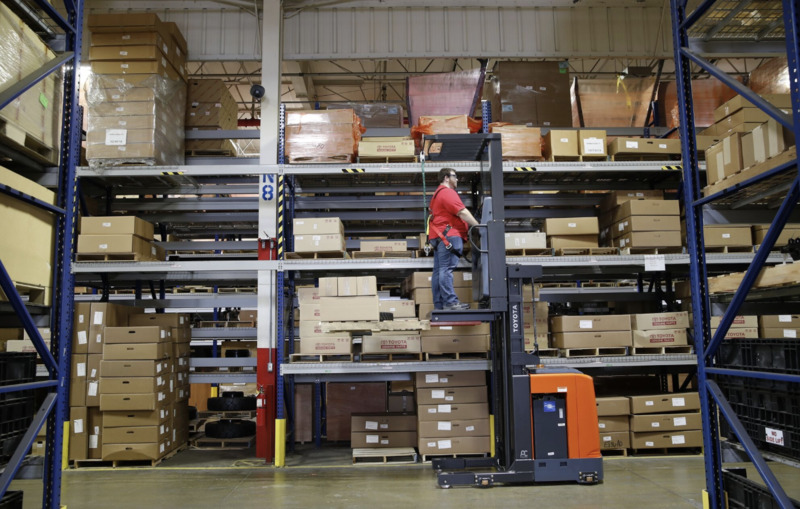 Call them for your lift truck parts needs and find out for yourself why great customer service, great prices, and industry leading warranties make Allied Toyota Lift the best source for your parts needs including Genuine Toyota Parts. Brushes, Chemicals, and Sweeper/Scrubber parts for Nilfisk-Advance, Tennant, etc. Mobile Tire Press for On-site forklift tire pressing and installation. Wide range of sizes in stock. Different types of compounds available for specific applications and safety needs. Mobile tire press service for on-site installation. Contact Allied Toyota Lift today - Knoxville 865-573-0995 or Johnson City 423-282-6041 - to see how we can help!